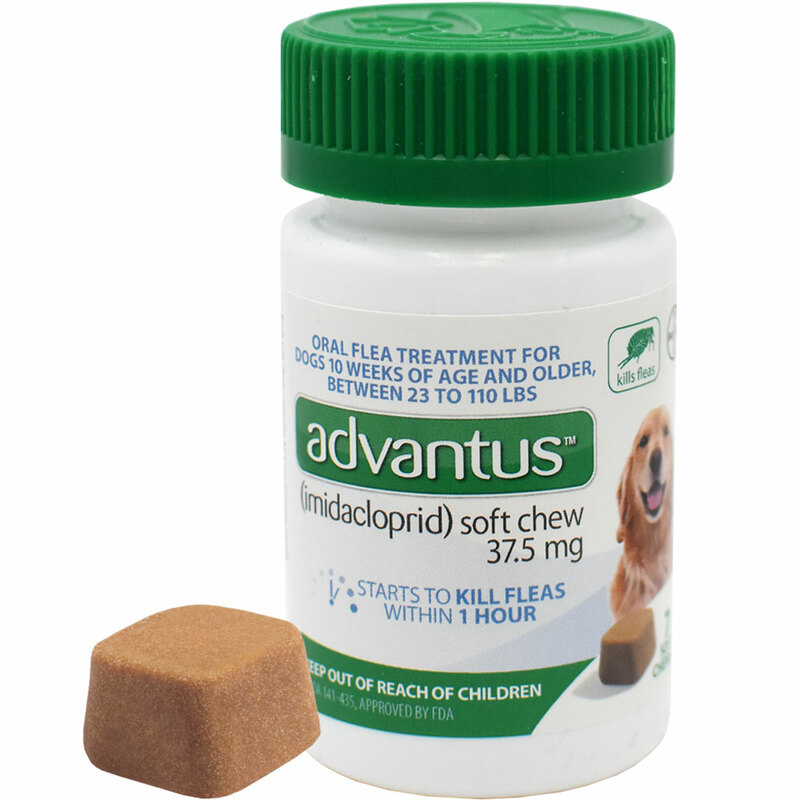 advantus™ (imidacloprid) Soft Chew is a flavored soft chew that fights fleas fast. 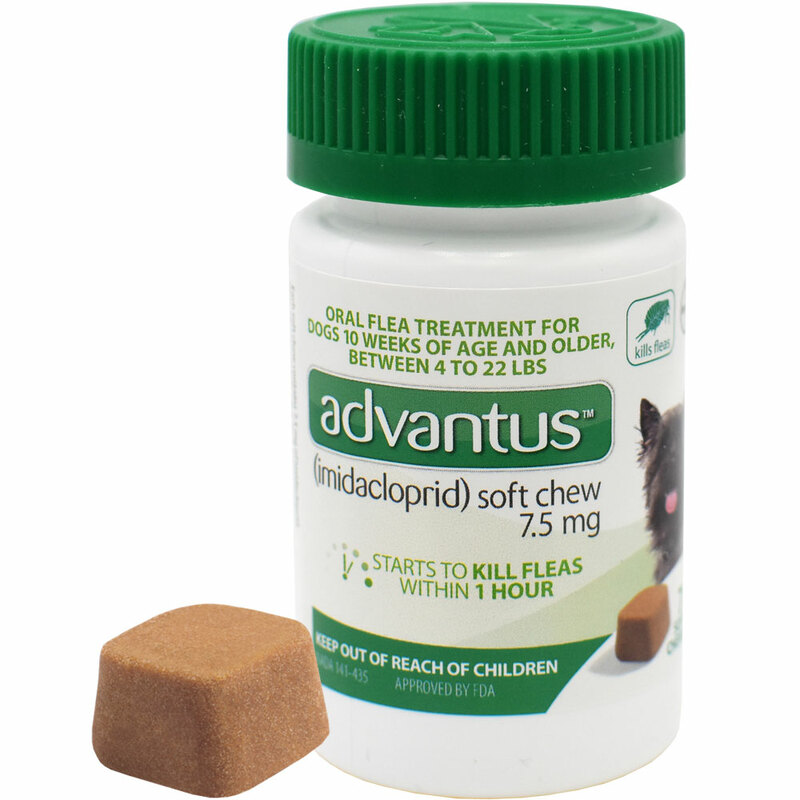 advantus™ kills adult fleas and is indicated for the treatment of flea infestations on dogs and puppies 10 weeks of age and older and weighing 4 pounds or greater. 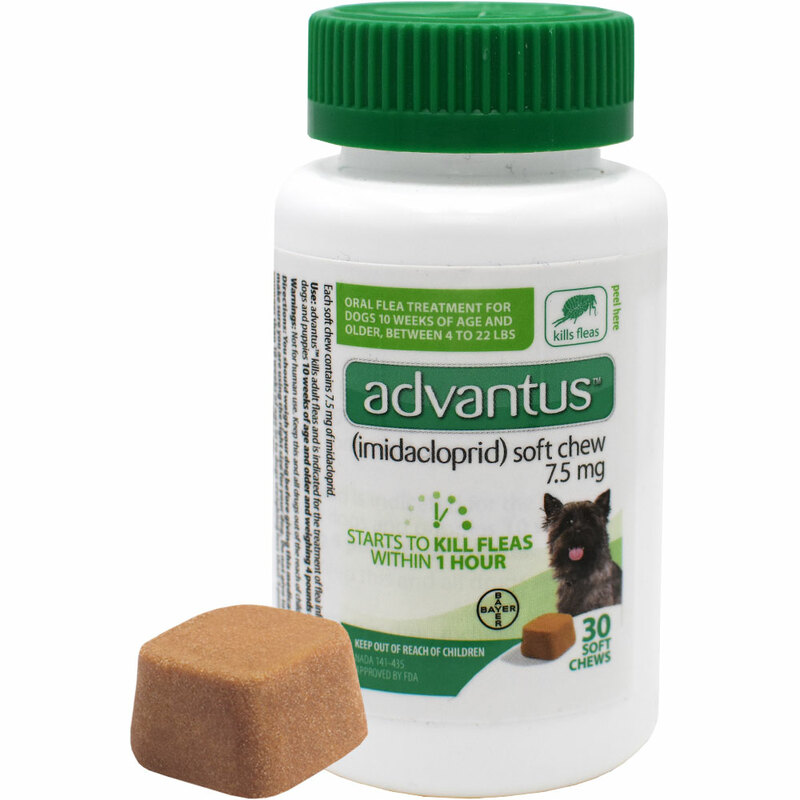 A study demonstrated that advantus™ achieved greater than 96% effectiveness against adult fleas within 4 hours. 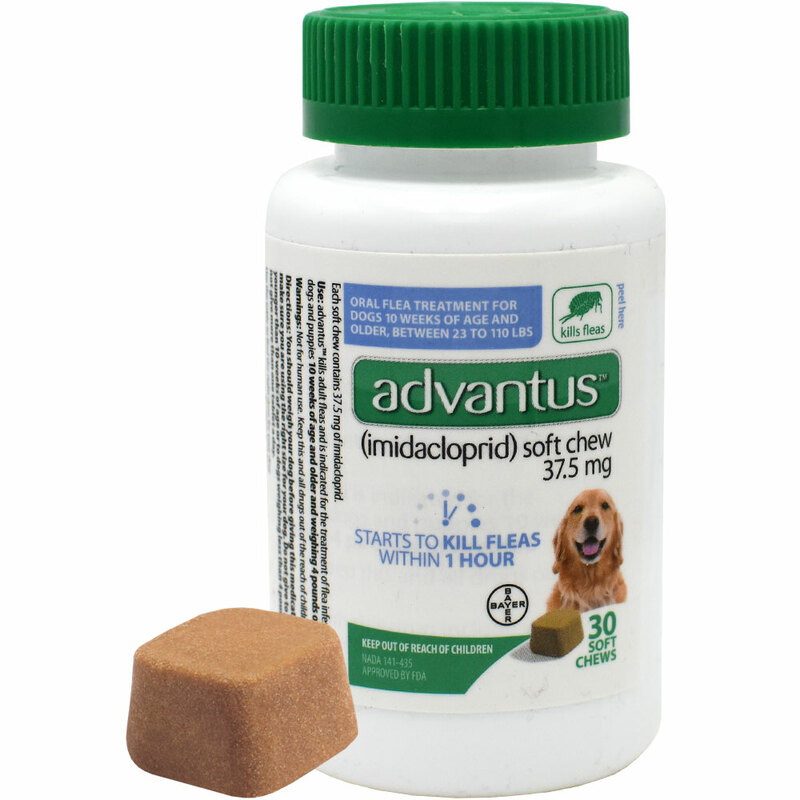 Does not contain any animal proteins- suitable for dogs with animal protein food allergies. Safe to dose daily as needed. Available in two strengths: 7.5 mg for dogs weighing 4-22 lbs., and 37.5 mg for dogs weighing 23-110 lbs. Both strengths are available in 7-count or 30-count bottles. You should weigh your dog before giving this medication to make sure you are using the right size for your dog. Do not give more than one soft chew a day.